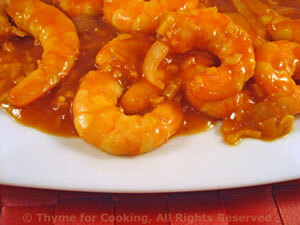 Stir-Fried Shrimp in Red Sauce, Thyme for Cooking easy gourmet dinner. 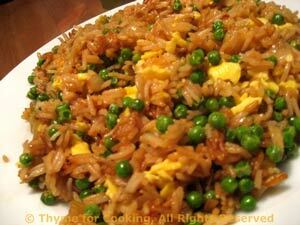 Stir-fries are done at the last minute. Once the prep work is done it goes together quickly.